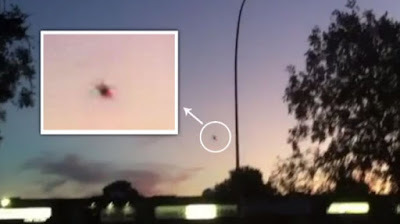 On a clear night in Manitoba, people may see all sorts of things in the sky – planes, birds and perhaps, a UFO. It seems the province is a hotspot for unidentified flying objects. Winnipeg's Kent Graham witnessed a UFO this summer. "Your eye goes to it right away," said Graham. "It was like an orange sparkler coming down. Then the sparks went away and it was just a globe of orange light that just started doing crazy moves." Over the years, thousands of reports just like Graham’s have been logged and some defy explanation. Canadian UFO researcher Chris Rutkowski told CTV there are reports dating back to 1792. "David Thompson was in an area that was now around Thicket Portage in 1792, and it was winter," said Rutkowski. "They saw a mass of gelatinous luminosity moving through the air. It actually approached them. And when it was a few hundred feet from them, it dropped to the surface of the lake and vanished from site." Rutkowski said Thompson had no reason to make up this story. He added, given the time period, it couldn't have been a plane or other manmade object Thompson spotted in the sky. The researcher said while most UFO reports are later identified, about 17 per cent are officially labelled as unexplained. "After being involved in this for more than 30 years, there is a real phenomena," said Rutkowski. "It's not something that's made up, it's not hallucinations. People are actually seeing things." What those things are, remains unknown.